Blue gradient vector background image with spiral light rays, white stars and colorful retro shapes bursting from the center. 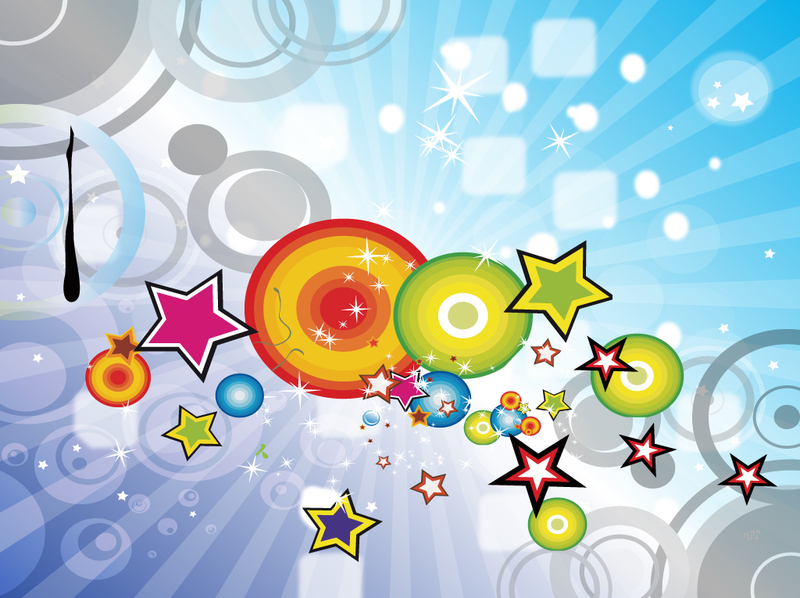 The free download file is filled with cool graphics, which make it a fun setting for announcements, party invitations, banners, greeting cards or iPad skins. Tags: Circles, Explosion, Fun, Geometric, Happiness, Happy, Joy, Sky, Summer.